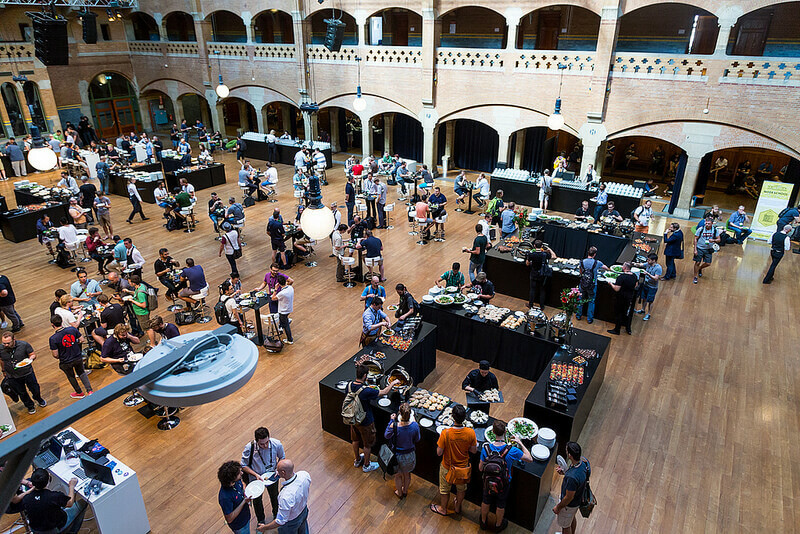 Node.js Interactive Europe took place on 15-16 September 2016 in Amsterdam, The Netherlands. The two days were packed with great talks - let's see what was it about! Amsterdam is the capital of the Kingdom of the Netherlands, with almost 2.5 million people living in the metropolitan area. It was founded as a small fishing village in the 12th century, then became the most important port during the 17 century. 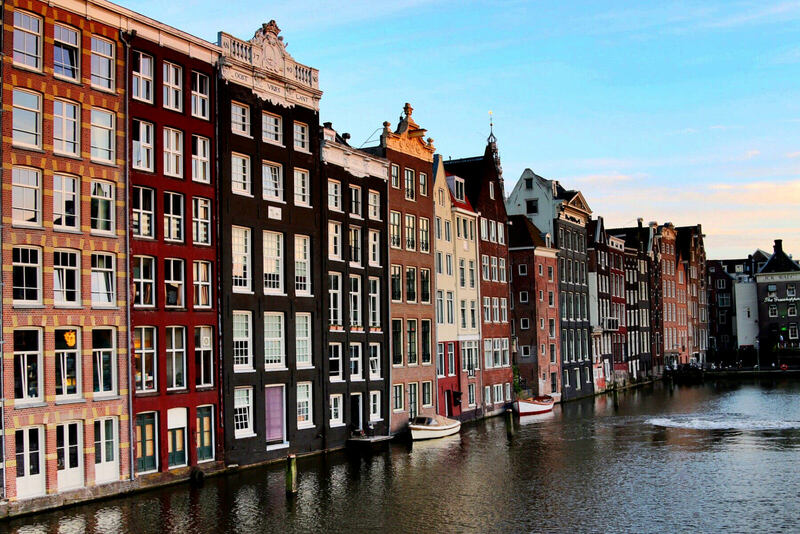 Nowadays the canals of Amsterdam and the Defence Line are on the UNESCO World Heritage List. 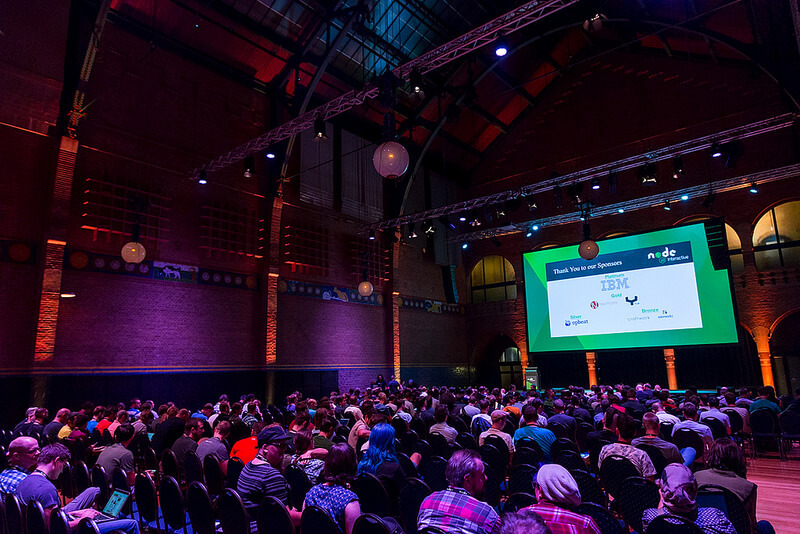 From RisingStack Kev, Peter and Gergely were at the conference - Peter talked about how we killed the monolith under Trace, while Gergely was a panelist at the “Node.js in Europe” and “Node.js Education” panel discussions. The first day was started with keynotes from Mikeal Rodgers, James Snell, Ashley Williams and Bert Belder. 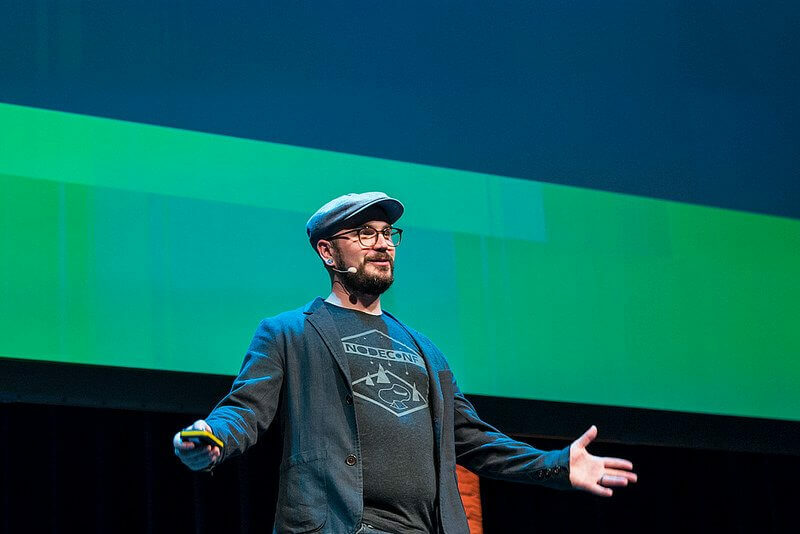 Mikeal talked about the current state of Node.js adoption, and let us know that Node.js is everywhere. It started out as a server-side framework in 2009, but it is now used in IoT devices, mobiles and on the desktop as well. The project currently has 87 active contributors. Thanks to them, Node.js v7.0.0 will be released in October. This release won't be an LTS version, so it will be only maintained till July 2017, with Node.js v8.0.0 being published in April 2017. On the more technical side, we learned that the inspector will become part of the core itself using node --inspect. 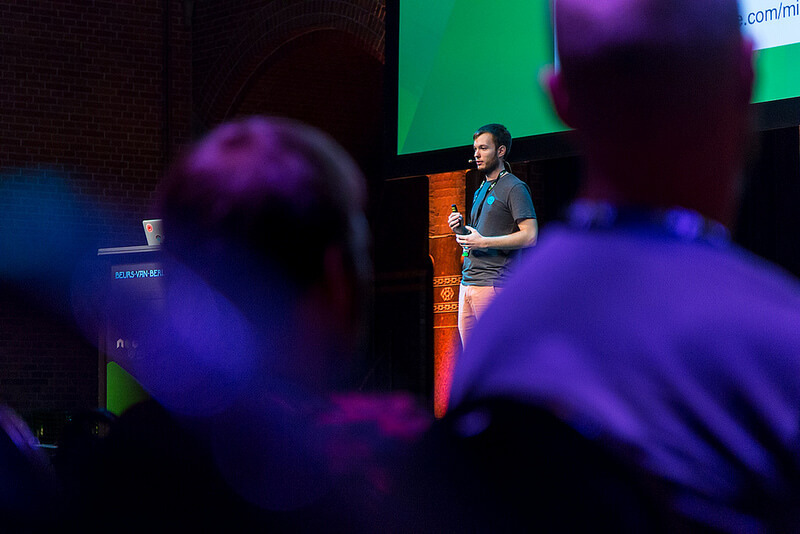 Next, Bert Belder told us about how the event loop works in his insightful talk. We are excited to see the video of this talk again!. Tracy's topic was on how to make Node more inclusive and diverse. To create a sense of welcome, barriers to access and biases must be surfaced. People must feel safe enough to contribute to the Node.js project. 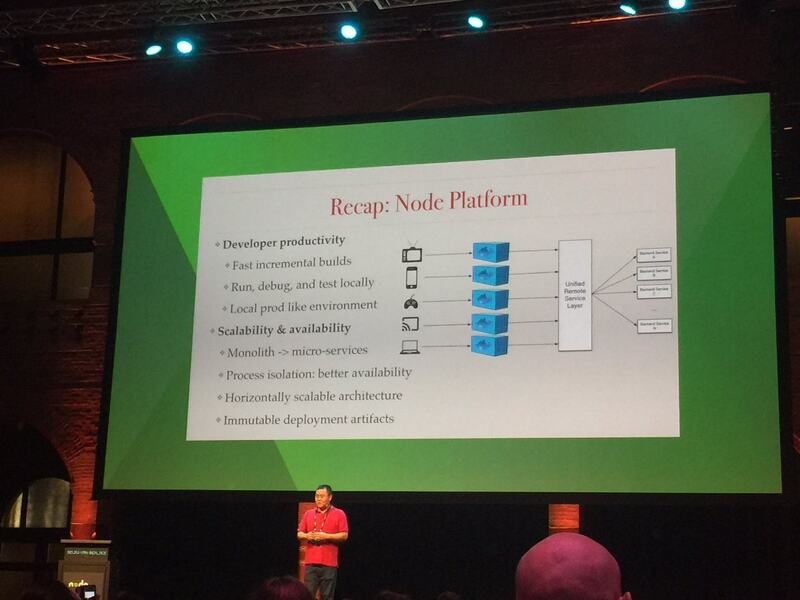 Then came the microservices talks from Yunong J Xiao and Peter Marton. Yunong (Netflix) talked about Slaying the monolith, while Peter (RisingStack) talked about Breaking down the monolith. Both the talks arrived at the conclusion, that API Gateways are the way to build microservices. After lunch, Yunong Xiao and Michael Dawson talked about the post-mortem diagnostics group, and nodereport was just announced! Nodereport is an add-on for Node.js, delivered as an NPM module, which provides a human-readable diagnostic summary report, written to a file. During the afternoon there were great talks on IoT, Web Standards, Robots and panel talks on Node.js in Europe, IoT and Containers. Containers are popular in the Node.js Community, which was clearly visible from the number of talks on the topic, or from the results of our Node.js Survey we conducted this summer. The second day started with a great talk on security, led by Paul Millhiam. (wildworks). Paul is a lead developer at WildeWorks whose job is to keep millions of kids safe by using Node.js. We have learned how data validation is directly linked to security and how code can be secure and stable to work with. Eugine Isratti’s session described how anyone can use serverless computing to achieve high performance without huge efforts or resources allocation. Eugine’s work at Mitoc Group demonstrated how developers design full/stack application at low cost and low maintenance. We also saw great talks on blockchain and on how to build offline applications, followed by more container talks and making native add-ons. The day closed with panel discussions on learning Node.js and best practices on how to contribute to the core. After the closing keynote, the audience headed to the Beer.js, which was hosted in a nearby pub by Nodeschool Amsterdam. It was a great opportunity to talk with both other attendees as well as the speakers. The Collaboration Summit took place during the weekend. The Summit's goal was to get new developers involved in areas through a series of hands-on workshops led by existing contributors. The hands-on workshops led into "sprints" where new developers tackled real problems in the code base with the support of the mentors in attendance. It was great to see new contributors opening pull requests instantly! Node.js Interactive Europe was a great conference to meet with the ones enabling us to use Node.js with ease and learn how others use it and what challenges they face, what problems they solve. There were a lot of great conversations to join to with a friendly and nice atmosphere. We hope to see you there next year! The next Node Interactive event will take place in Austin from 29 November. 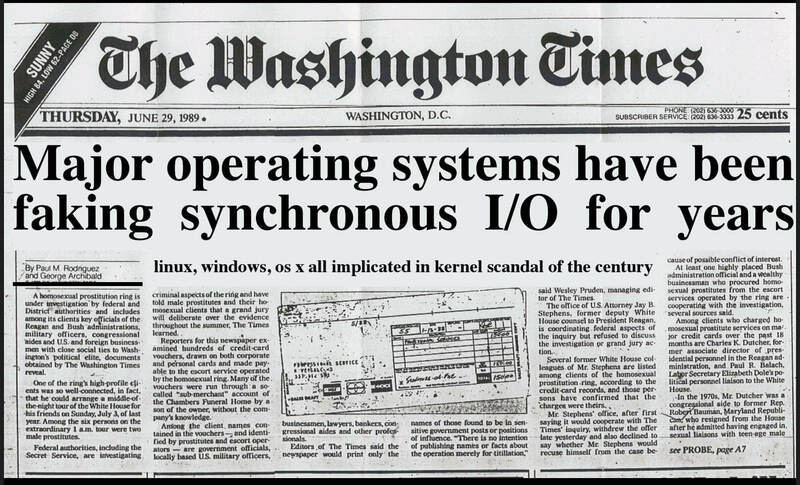 For more information and tickets visit http://events.linuxfoundation.org/events/node-interactive.